Bulldog Licensing has added new partners for top gameshow brand Bullseye, after signing deals with Crackerjack and Sporting Profiles. 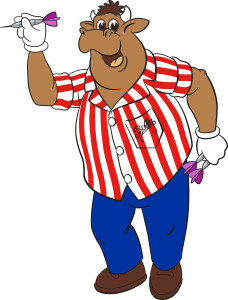 Bullseye is one of Britain’s most popular ever gameshows. Presented by comedian Jim Bowen, it drew in massive audiences through an irresistible mixture of darts and general knowledge questions. Catchphrases such as ‘You can’t beat a bit of Bully’ and ‘Super, smashing, great!’ are now part of the national lexicon. The show ran over the entire ITV network from 1981 to 1995 and regularly pulled in 13 million viewers per episode, with a peak audience of 19.8 million on Boxing Day 1989. ITV has since featured the show in two high rating one-off specials and the show is still on air through digital channel Challenge, which broadcasts Bullseye every single evening, often pulling in audiences over 200,000. The new deals will see Crackerjack produce a gifting range that includes alcohol gift sets, money tins, tankards and glassware, whilst Sporting Profiles is set to launch a Bullseye fan website. This adds to an existing programme that includes Bullseye-branded biltong, a Bullseye quiz book – complete with magnetic dartboard and toy darts – nightwear, socks, apparel, mugs and prints. Bulldog Announces Plethora Of Partners For Anthem! 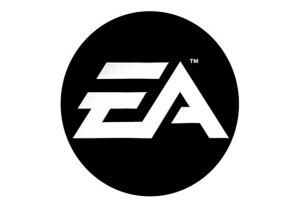 Bulldog Licensing has announced a series of licensing deals for EA’s newest release Anthem™, ahead of the video game’s launch early this year. Anthem™ is one of the most eagerly-awaited video-game releases of the last few years and the gaming world is buzzing with anticipation. Anthem™ is set on a world left unfinished by the gods, where a shadowy faction threatens all of humankind. The only thing that stands between these villains and the ancient technology they covet are the Freelancers. Players join with up to three others and assemble high-tech, hand-crafted, uniquely powerful exosuits, which enable them to explore vast ruins, battle deadly enemies, and claim otherworldly artefacts. Four deals have been signed in total, with Level Up Wear, Rubber Road, Trademark Products, and Abysse Corp all coming on board. 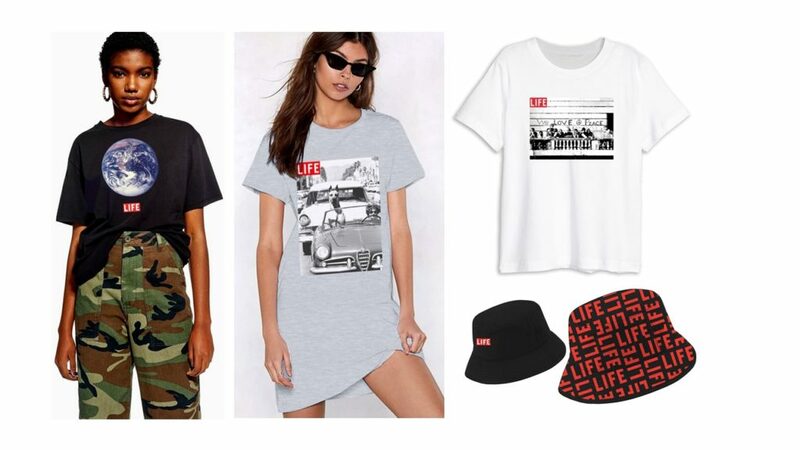 Each licensee is planning a multi-product range covering apparel, accessories and giftware. Bulldog Licensing has announced two major new deals for children’s publishing sensation That’s not my…. Published by Usborne, That’s not my… is the best-selling series of touchy-feely board books aimed at babies and pre-schoolers. Over 25 million copies have sold worldwide, with over 50 titles to collect. Each page features a different texture, such as soft fur or fuzzy tummy, which is designed to encourage sensory awareness and interactive play. That’s not my unicorn… – published as the special 50th title – is the highest seller to date, and was the best-selling baby book of 2017. The new deals will see Ravensburger produce jigsaw puzzles and memory card games, whilst Dreamtex has signed for junior bedding. The new licensees join two existing partners. A baby apparel range from Dennicci – winner of the 2018 Progressive Preschool award for best apparel or accessories range – is available in both Mothercare and TU at Sainsbury’s, and launched through F&F in Tesco with two characters in November and a further six planned for Spring / Summer. Rainbow Designs is on board for baby and infant toys. Brand Alliance Hits The Road With ROUTE 66! Bulldog Licensing has announced a major new deal for lifestyle property ROUTE 66, with Brand Alliance coming on board. The brand ROUTE 66 is based on the legendary highway that once linked Chicago to the American West. ROUTE 66 has since entered the global lexicon as a byword for adventure and a love of the open road, making the name instantly recognisable and giving the property huge appeal. ROUTE 66 is backed by a host of resources, a comprehensive Style Guide with theme-focused chapters (such as Bikes, Cars, Flags and other) that include more than 350 original artworks and 125 high-res photos. Although relatively new to the UK market, the brand’s massive potential is illustrated across the world, with an especially strong presence in Europe. In Germany alone, ROUTE 66 is a €30m retail property, while in Italy, France and Spain the brand is marketed across various distribution channels, from gas stations and supermarkets to department stores. The new agreement will see Brand Alliance develop a major new ROUTE 66 apparel range to hit stores in Spring 2019. Bulldog Digs For Licensing Gold With Treasure X! Bulldog Licensing has signed an agreement to represent Treasure X – the latest collectible sensation from Moose Toys. Treasure X has sparked a playground craze and brought a new level of innovation to the collectible category through a hyper unboxing process. Kids rip into the box and then dig their way past multiple layers using the plastic excavating tool to uncover one of 24 high quality, collectible action figures, each with their own distinctive weapon, which they assemble and add to their collection. Each character is guarding a chest, which reveals its hidden treasure when you pour water into it. And some lucky collectors will even find the ultra-rare gold-plated treasure! Trio Of New Partners On Board For Pikmi Pops! Collectible sensation Pikmi Pops continues to attract leading licensees, with Roy Lowe, The Design Group UK, and Dreamtex all inking new deals with Bulldog Licensing. Created by Moose Toys – of Shopkins fame – Pikmi Pops is a range of sweet-scented miniature plushies that come with surprises, packaged inside an iconic lollipop vessel. Each Pikmi Pop has a host of exciting treats inside – including one of 45 scented mini-plushies, dangler strings, cute accessories, messages and more! Pikmi Pops have become a big hit with their target market of girls aged 5 to 9, who love the quirky characters and the element of surprise when they unwrap each vessel. The brand has sparked a playground craze and huge UK sales are being reported for the brand which has now been the number 1 new brand in the UK for each of the last six months. The new agreements will see Roy Lowe produce a socks range, whilst The Design Group UK is on board for greeting cards and gift packaging, and Dreamtex for bedding. Bulldog Bags Brace Of New Partners For Pikmi Pops! Bulldog Licensing has announced further additions to the licensing programme for new collectible sensation Pikmi Pops, with Spearmark and Blueprint both signing up. Created by Moose Toys – of Shopkins fame – Pikmi Pops is a range of sweet-scented miniature plushies that come with surprises, packaged inside an iconic lollipop vessel. Each Pikmi Pop has a host of exciting treats inside – including one of 45 scented mini-plushies, dangler strings, cute accessories, messages and more! Pikmi Pops have become a big hit with their target market of girls aged 5 to 9, who love the quirky characters and the element of surprise when they unwrap each vessel. The brand has sparked a playground craze and huge UK sales are being reported with the property consistently topping the charts of new brands, 21% ahead of the next biggest brand in the chart at the latest count! The new deals will see Spearmark produce housewares and lighting ranges, whilst Blueprint is on board for stationery and bags. These come hot on the heels of two initial licensing agreements, with Aykroyds/TDP for nightwear and swimwear, and Blues for leisurewear. Pikmi Pops Picks Up First Partners! Bulldog Licensing has announced the first licensing partners for new collectible sensation Pikmi Pops. Created by Moose Toys – of Shopkins fame – Pikmi Pops is a range of sweet-scented miniature plushies that come with surprises, packaged inside an iconic lollipop vessel. Each Pikmi Pop has a host of exciting treats inside – including one of 45 scented mini-plushies, dangler strings, cute accessories, messages and more! Pikmi Pops have become a big hit with their target market of girls aged 5 to 9, who love the quirky characters and the element of surprise when they unwrap each vessel. The brand has sparked a playground craze and huge UK sales are being reported. After just a few weeks in retail, Pikmi Pops became the number 1 new brand in the UK, a position which it has cemented every month since March 2018. The new licensing deals are with Aykroyds/TDP for nightwear and swimwear, and Blues for a leisurewear range.